Entering PAUD SuryaKasih at Rusun Komarudin, we were greeted by two signs at the door: “No Smoking” and “Don’t Litter.” Inside, everything was organized neatly. On our left, a children’s name tag board, shoe rack, and bag storage space signaled the presence of 67 unique personalities who made up this kindergarten class. On the wall above, a weekly program schedule, announcement for parents, and other supporting information provided a glimpse of the creative learning activities that keep students engaged week after week. Educational games, traditional Indonesian art-work and toy blocks were labelled clearly across the room. A song streamed from the audio system and the children danced to the song, Kicir-kicir, a folk ballad from Jakarta, celebrating the theme of the month (“Nusantara”, or “Indonesia, the archipelago country”). These were the sights when we visited the early childhood education center (PAUD) under the care of ReachOut Foundation on 1 February, 2018. 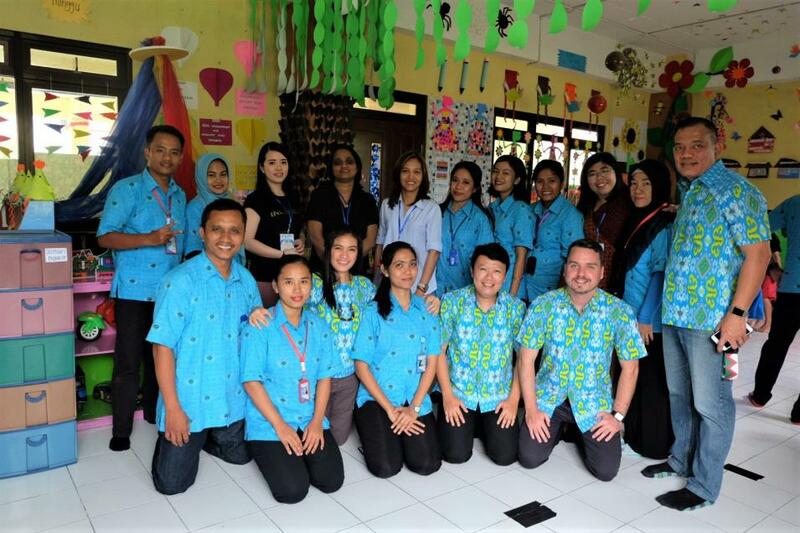 This field visit to PAUD Surya Kasih was part of APC’s continuous effort to encourage collaboration and knowledge exchange among the education players in Indonesia. 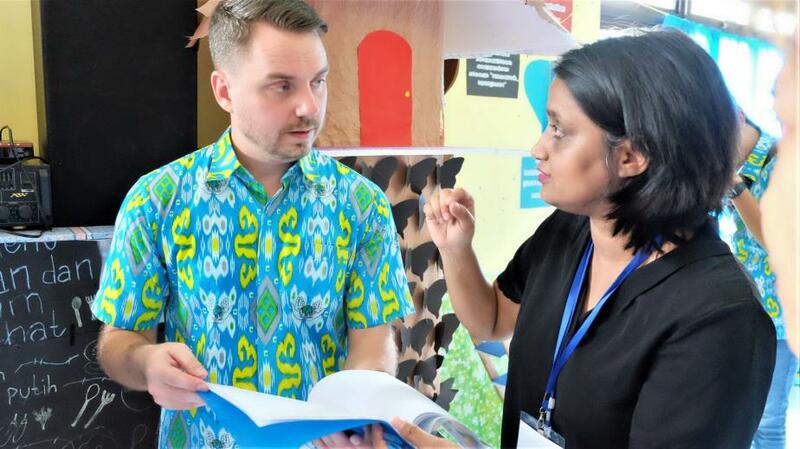 Three organizations, Usaha Mulia Foundation, Generasi Terang Foundation and Tanoto Foundation participated in the tour co-organized by the Asia Philanthropy Circle and ReachOut Foundation. The participants observed how the classes and activities were run. They interacted with the teachers, school principals and students. High enthusiasm was in the air. 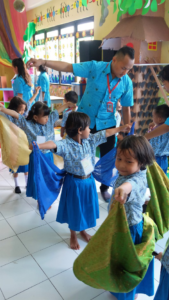 ReachOut Foundation – established by Ibu Judith Soeryadjaya – initiated the PAUD Surya Kasih project in 2014. Now, there are 10 of such centers across Jakarta (8) and Papua (2). The curriculum emphasizes character and creativity building rather than literacy and numeracy. “Our main challenge is conveying the importance of play-based learning to parents. Many parents insist that PAUD centers teach writing and reading. It was not easy to convince parents to enroll their kids to our school, especially during the initial months. 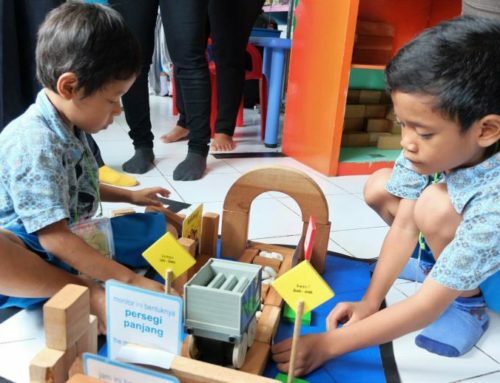 However, once they observe the positive change in their kids, they became convinced of the true benefits of play-based learning.” said Tulus, the Director of Operations. ReachOut Foundation is now planning to scale up its program to ensure access to quality early childhood education for one million children. One way to spread the good practices is by working with other schools and partners, particularly in the area of teacher training. ReachOut Foundation is open to any collaboration opportunities.